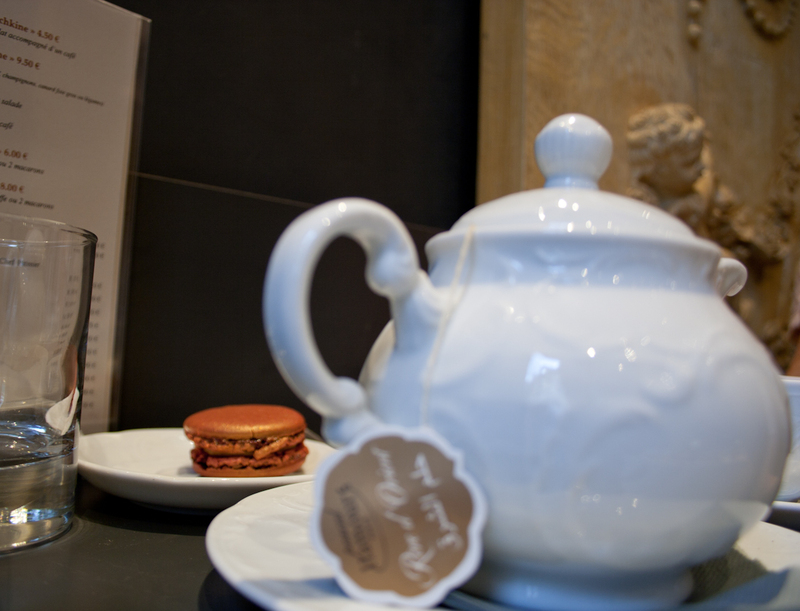 For me Paris is a discovery and meeting point of cultures with its plentiful eateries, cafés and boutiques. 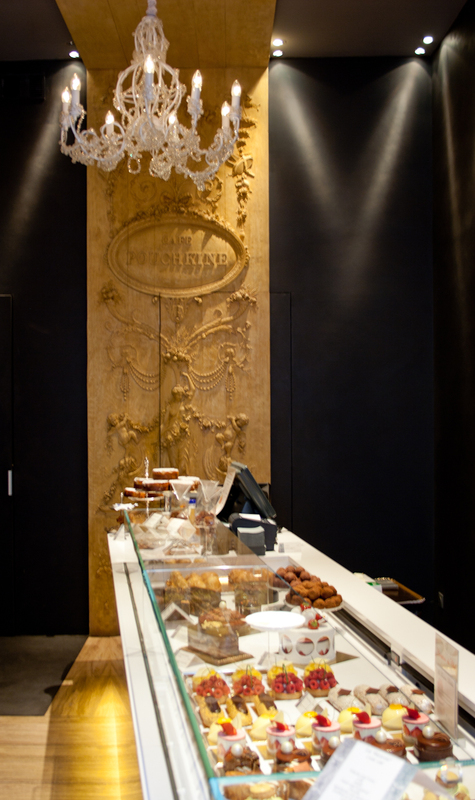 With this blogpost I’m not neglecting Parisian cuisine or culture but rather reflecting on my experience to find there the most unexpected – a Russian café! 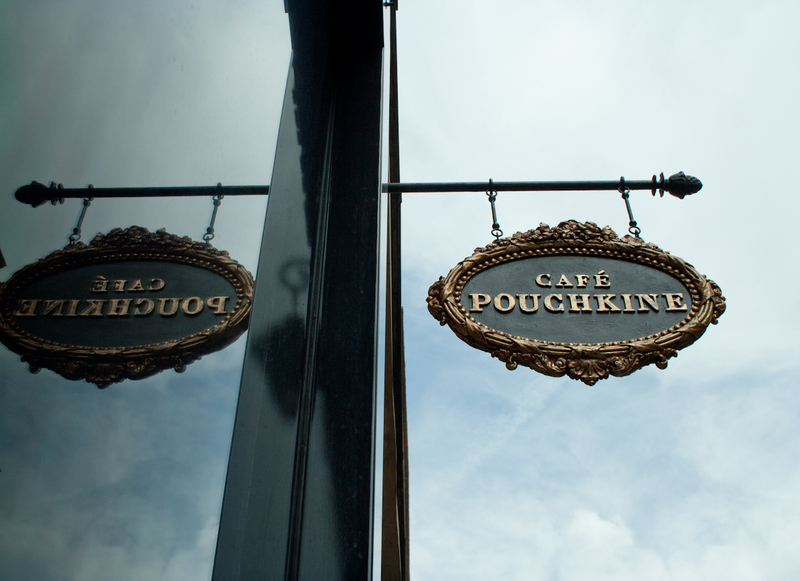 Café Pouchkine is an acknowledged Russian venue that was set up in Paris just a couple of years ago. 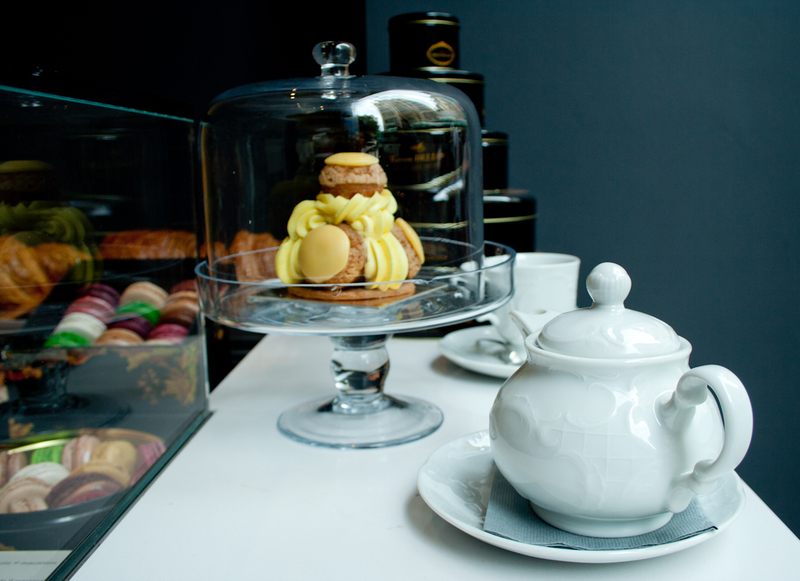 Elaborated style of this café and boutique in Place des Vosges in Paris echoes in its interior, food presentation and service. 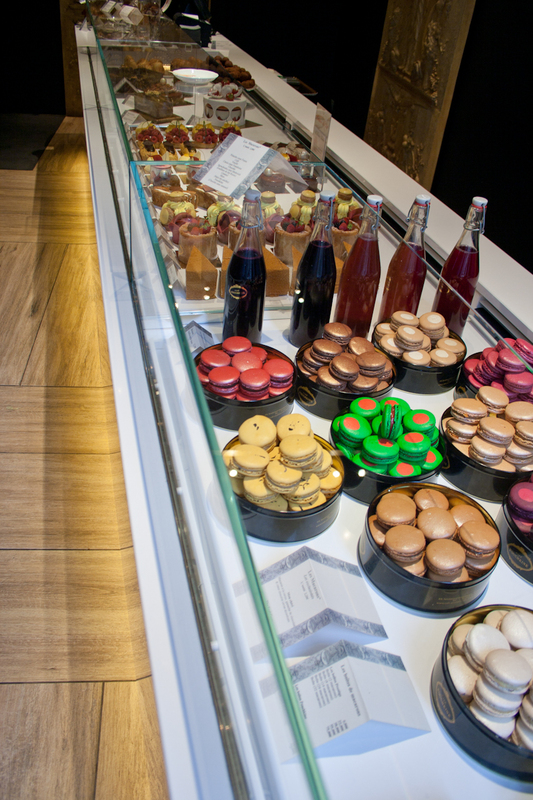 The menu is an elegant combination of both Russian and French sweet and salty food picks and drinks. Those familiar with Russian cuisine will immediately recognize pirozhki (small pies with stuffing), borsch soup, pastries with tvorog (quark) or Medovik (honey pie). 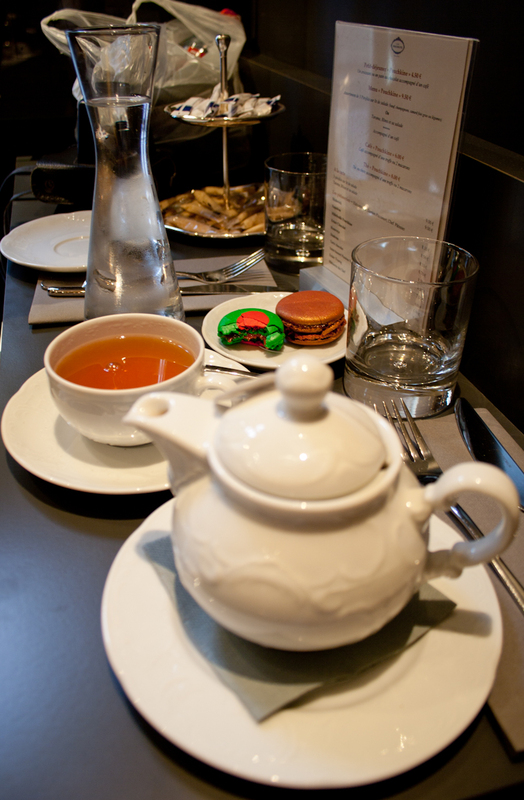 At Café Pouchkine I had a cup of oriental black tea and two macaroons: pistachios with strawberry filling and Pouchkine, a macaroon with cocoa, chocolate cream, caramel and buckwheat infusion. Simply delicious! By the way, Alexander Pushkin (Alexandre Pouchkine in French) was a Russian poet, novelist and playwright who wrote in Russian and French.